Use this product as prescribed by your clinician for the prescribed sets and repetitions. Always take a rest between sets. The TheraBand CLX with Easy Grip Loops provides multiple unique grip options that enable exercises like open and closed hand grips, holding objects with resistance, no-grip-required exercises and never before possible exercises such as simultaneous upper and lower body work. The TheraBand CLX delivers unparalleled versatility and ease of use that may increase exercise compliance to improve patient outcomes. I needed a TheraBand to rehab an ankle injury. The regular green one was recommended but I decided to try the CLX - Consecutive Loops band instead. Based on the information in the product descriptions I ordered the yellow one, which is comparable to the regular green band. 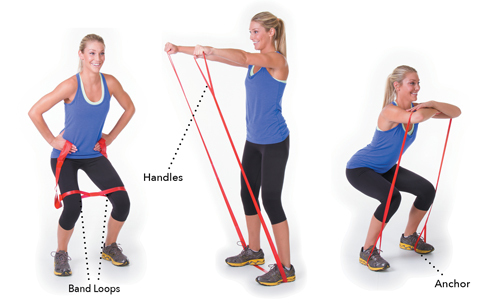 The loops make it easy to use for different exercises. It cost a bit more than the regular band but was worth it.